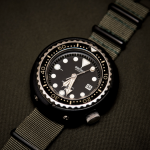 This is an exceptional dive watch and an exceptionally handsome one. It’s solidly and thoughtfully engineered. It’s straightforward to operate and understand. This watch is great! It makes a nice dress watch without being too flashy. Ladies love it too. 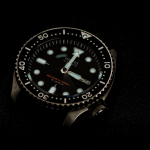 If you want a semi-luxury diving timepiece then you have come to the right place. 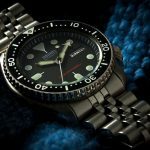 The Citizen BJ2115 is one of the best choices you can make when it comes to a dive watch under $500 because it comes with a beautiful design, top quality build and materials and an overall great everyday experience. Besides premium materials and looks this Citizen watch brings to the table a lot of useful features like the now famous Eco-Drive technology developed by Citizen which basically means self-charging from light sources. This way the worry of changing batteries is eliminated. 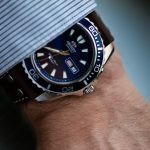 So one of the reasons this watch represents a great deal has to do a lot with the status that it offers to the beholder. I heard a lot of people getting compliments on their Citizen BJ2115. And the icing on the cake is that you can wear it with literally any clothing type be it tuxedos, suits or wetsuits. 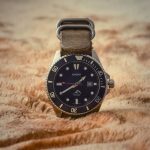 Either way, the watch will look great on the wrist and will act as a piece of jewelry besides its functions as a semi-professional diving watch. 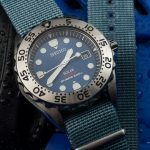 Is this the best dive watch under $500 ever? I can’t say that for sure. 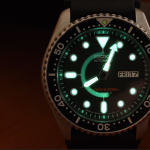 But it surely is one of the best diving watches under $500. 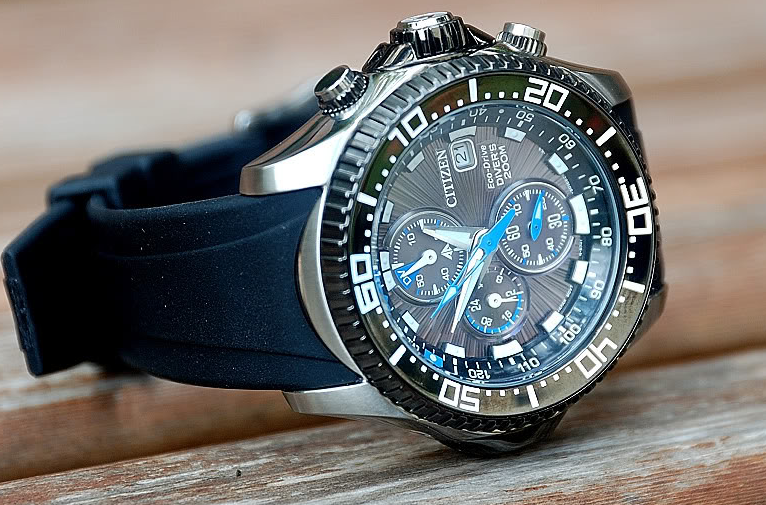 Read the full review of the CITIZEN BJ2115-07E ECO-DRIVE here. 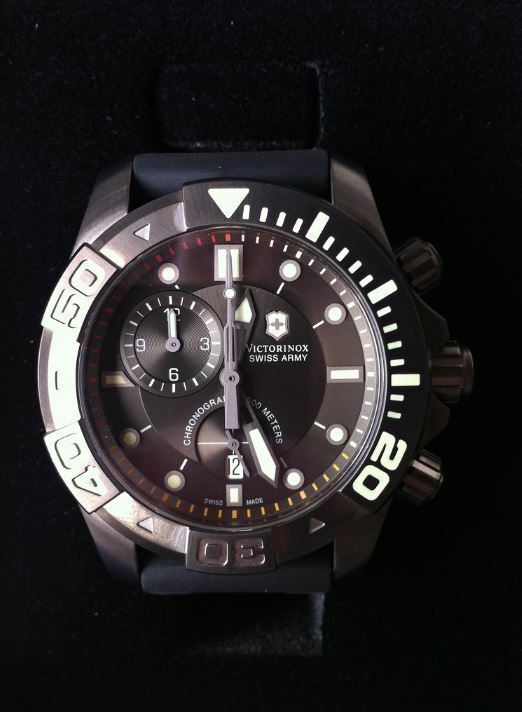 Review of the Citizen Promaster Eco Drive Aqualand Chronograph BJ2110-01E Diver's Watch. Victorinox is a famous company for producing some of the best swiss knives on the market and as we can see watches as well. 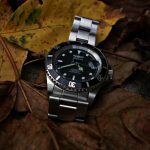 The Victorinox Swiss Army Dive Master 500 can be characterized in a few words as a top-notch, tough diving watch with an impressive case and an affinity to delivering best results in all situations. It comes with an impressive 500-meter water resistance or approx. 1650 feet which is insane considering that only highly trained professionals ever get to that depth. So by any means, you should not be worried of its resistance to water pressure. The 43 mm case is made of a high-quality stainless steel which has a very sturdy, professional feel and the sapphire crystal window is a great choice made by Victorinox since this is one of the best materials available.